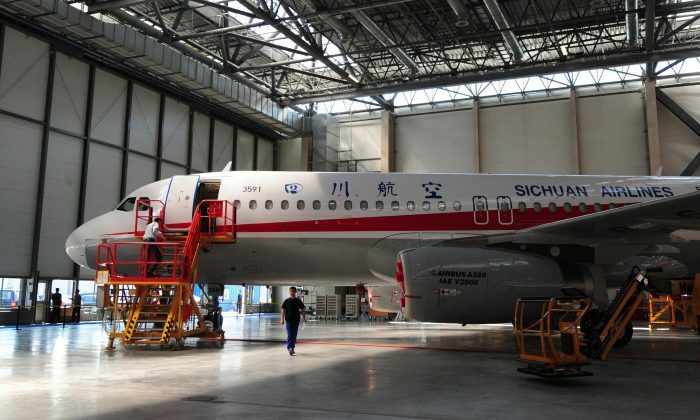 SHANGHAI—A Sichuan Airlines flight made an emergency landing in the southwest Chinese city of Chengdu on May 14 after a windshield on the right side of the jet’s cockpit broke off, China’s aviation authority said. The flight, Sichuan Airlines 3U8633, left the central Chinese municipality of Chongqing on May 14 morning and was bound for the Tibetan capital of Lhasa, the authority said. Pictures published by state-run newspaper Chengdu Economic Daily showed the plane missing one of its cockpit windows and damage to its cockpit controls.